At St Nicholas church we run a booktable every other Saturday on the main high street in Tooting, South London. Conversations are easier than you would think. People ask who we are and why we’re there – we tell them we’re from a local church and ask if they know why Jesus is such good news. Some people roll their eyes and move on, but most of the time (surprisingly perhaps) they are happy to have spiritual conversations. Having established that we want to talk about Jesus, we then make sure we listen carefully to the person to try and understand where they’re coming from. The Hindus and Sikhs who stop are usually very ready to hear about Jesus, but are often resistant to the teaching that He is the only way to God. Sometimes people want to debate with us. We don’t avoid debate; after all, Scripture tells us to “demolish arguments and every pretension that sets itself up against the knowledge of God” (2 Cor 10:5) But our debates are guided by Biblical principles: gentleness, truthfulness and knowing when to walk away. Our booktable was started by Robin Thomson (South Asian Concern) and is a simple set-up. We arrive with two trestle tables, a thermos of hot water, and Christian literature in over 30 languages which we give away. Tooting is very multi-cultural with a large South Asian immigrant population but English remains the most popular language, with Urdu a close second. 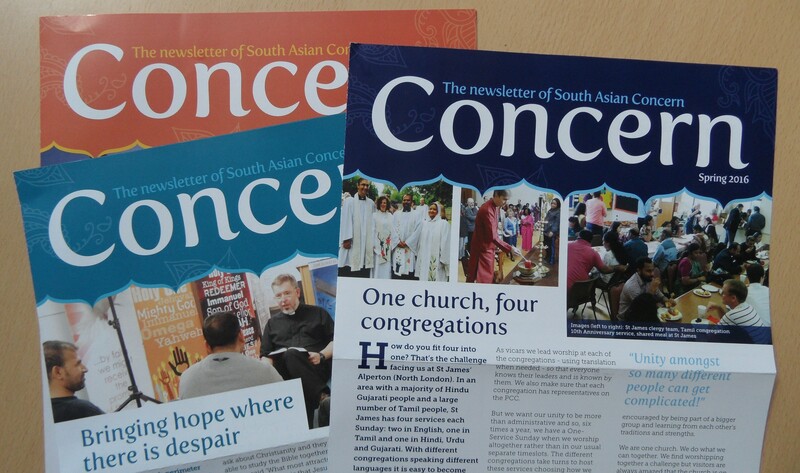 We offer free tea and coffee, and samosas from a local Asian sweet shop; but it’s clear that we’re mainly there to talk about Jesus! There are usually between three and six people on the team, some of whom come from other churches. The booktable has been a great way to do some local networking. 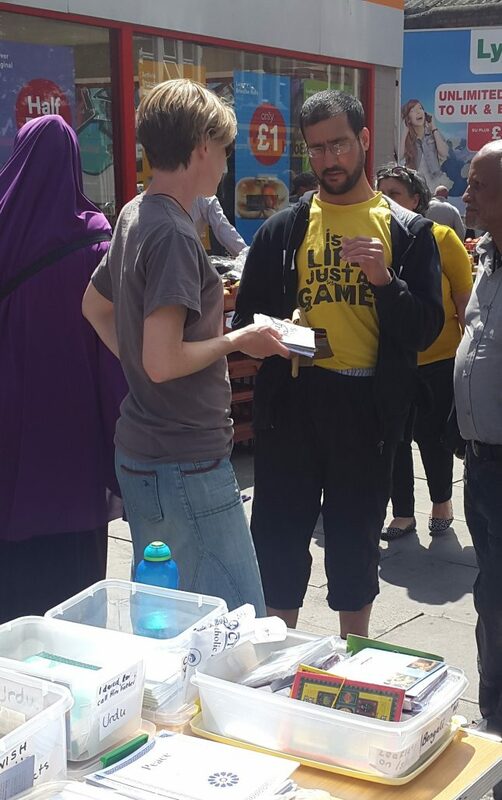 Many Christians I know find the idea of street evangelism off-putting. But it needn’t be! In the eight years since I took over the worst thing that happens is that people walk off in a huff in response to the Gospel. And while being ignored can be quite demoralising, I have always – without exception – come home very encouraged in my faith. Why not give it a try?